DANG/RUKUM, May 22: While the government was preparing to conduct local elections back in 1992, Jhakku Prasad Gharti of Triveni, Rukum, was instructed by his Communist party to protest against the election. The local administration arrested him and put him behind the bars for two months on charge of obstructing the polls. Later he joined the Maoist party and continued to protest against the government decision to conduct local elections in 1997. “At that time, we had a strategy to obstruct the polls. Despite that, the election became successful amid fears,” Gharti recalled. Ironically, the man who was mobilized to obstruct two local elections decades ago was fielded as a candidate for elections by the Maoist party this time. In a dramatic turn of events, he contested the election for the first time after his party joined peaceful politics. He emerged winner for the post of Tiveni Rural Municipality chief, sidelining candidates from rival parties including Nepali Congress and CPN-UML. Elected as the chief of a powerful local government, Gharti has now his own dreams to develop several villages under his watch. “Things have now completely changed. My first plan will be to electrify the villages in the next five months and arrange drinking water for all household,” he expressed his visions. Maoist leaders like Gharti, who have been elected to lead the local units, have now come up with plans to develop their areas. In the Constituent Assembly (CA) elections of 2008 and 2013, the party, now CPN (Maoist Center), emerged winner from all constituencies in the entire Rukum district. This time also, the party remained influential in the polls, winning chiefs and other positions of all local units. The Maoist party has secured seats in all six local units (three municipalities and three rural municipalities) of Rukum. 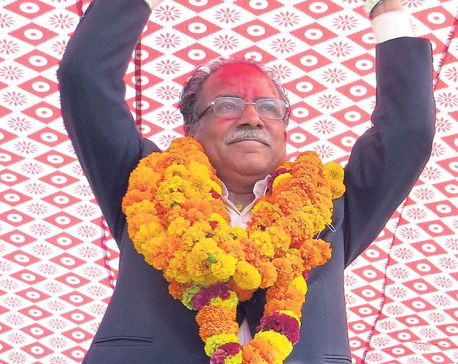 Maoist candidate Devilal Gautam defeated Nepali Congress candidate Mahendra KC by 111 votes in Musikot Municipality. As the Maoist leaders secured the chair of six local units with good votes, the party also seems to be in a strong position in ward levels under the six local units. Out of the total 72 wards, Maoists made a clean sweep in 57 wards of six local units of Rukum. Congress secured victory in 13 wards and CPN-UML won in 2 wards. The Maoists remained powerful in Salyan district, another Maoist stronghold during the decade-long insurgency. The district has also good influence of CPN-UML. In the CA election, the Maoist Center and CPN-UML have won each constituency out of two constituencies. However, the Maoist Center claimed that it has been leading in most of the areas as vote counting is still underway in some local units. Maoists have already won one municipality and two rural municipalities so far. Maoist Center has won 32 wards of 83 wards of the district. Likewise, CPN-UML has won in 27 wards, Nepali Congress won in 23 wards and Rastrya Prajatantra Party has won in one ward. The party, however, was behind the UML in terms of number of local units won. The UML won four local units including one municipality. 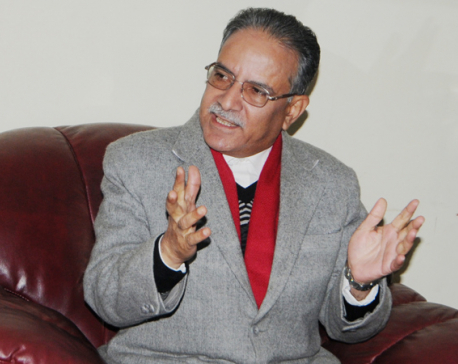 “Electoral alliance between Nepali Congress and CPN-UML has failed. This is our big win,” said Kunwar.